So.. I’m pretty much head over heals with this freebie :).. why? It has everything I love! 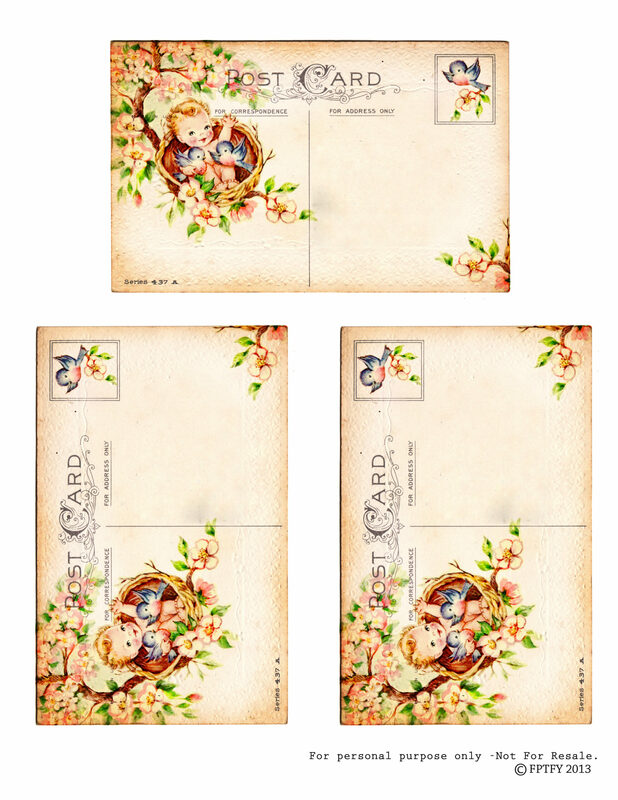 A sweet little baby, bluebirds, pink flower blossoms .. all on the back of a vintage post card! Can it get any sweeter?! Yup.. this one is definitely going on my top ten favs. I could see lots of gorgeous little baby shower invitations being made with these! Are you sharing the same delight as I am? Well, if you are, I have more of these post card freebies coming your way!! Oh my goodness! These are the sweetest things I’ve ever seen! Thank you very much for sharing them! O so sweeeeeet. Thank you oodles and oodles and oodles Keren! How sweeeeeeeeeeeeeeeeeeeeeeeeeeet is this!!!! So precious! So adorable …So YOU! : ) thank you my friend for always sharing the cutest things in the world with us!!! (((((HUGS))))) love to all! What kind of paper did you print on? This is a wonderful sight!! Thank you Pretty Lady! God Bless you! 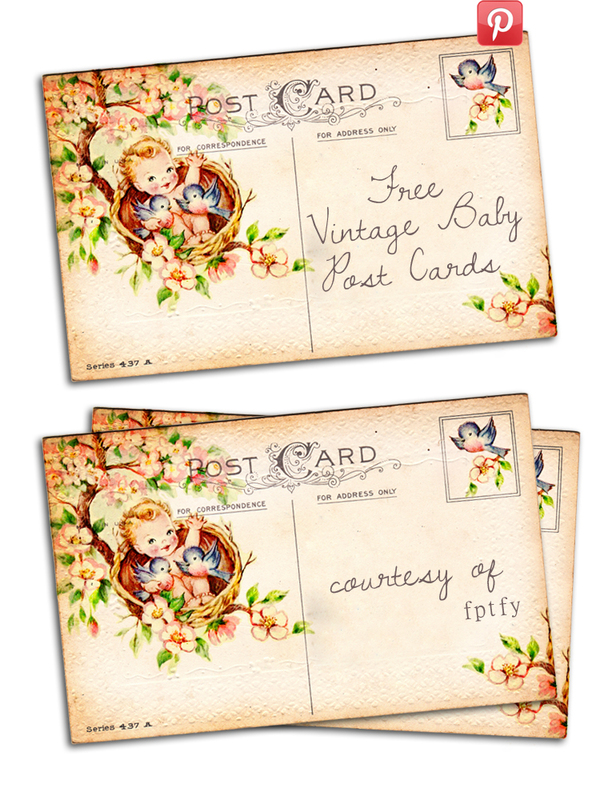 Thank you so much for sharing these precious baby post cards. The ideas for using them are bubbling up in my imagination! I can’t wait to use them……thanks again. This is gorgeous! Thank you very much for sharing! Big heart smiles looking at your ADORABLE & SWEET & BEAUTIFUL & PRECIOUS things!!! Thank~You!! Hope you find more goodies. And thanks sooo much for these too. Just soo perfect and soo cute, that you can´t do nothing but smile, when you see this. I hope that 4 yrs later is not too late to say This IS Perfect. My first Grandchild has arrived, and I wanted to get a baby album, but there is NONE out there to compete with ones like my mom had for me. So I decided I would have to make one as a Scrapbook. THIS will make a Perfect Note card for my daughter in law. Im SO happy this image worked perfectly for you Gladys!!!! Blessings to you and the new little one! !